Looking for a convenient, healthy, and helpful weight to lose weight? If so then a weight loss subscription box is the perfect option for you! With these weight loss subscription boxes, you’ll be provided with healthy foods, snacks, supplements, active wear, and even motivational items to help you drop a few pounds every month. Whether if it’s replacing Doritos and Snickers with something healthier or even meal prepping for the week, these boxes will help jump start your weight loss and fitness goals. Best of all, they are all pretty cheap and affordable! So with that being said, let’s jump straight to the best subscription boxes for weight loss! What’s inside the box: Each month, you’ll receive a box of samples of some of the best new vitamins, supplements, healthy snacks, and more. What’s inside the box: Every month, you’ll receive a box of product samples that’ll help you find new helpful items for your weight loss journey including fat burners, meal replacements, healthy snacks, and more. What’s inside the box: Every month, you’ll receive a curated box of healthy snacks designed by a trainer who’ll inspire you. Plus with every box order, FitSnack provides snacks to underprivileged kids. 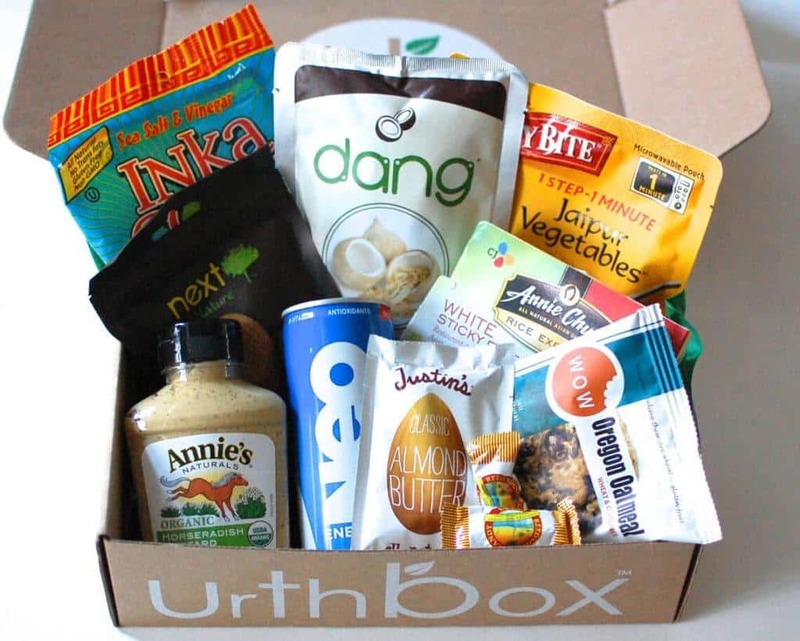 What’s inside the box: When you subscribe to the Urthbox Diet Box, you’ll receive calorie, fat, and carb conscious snacks and products each month. Buy Now: Use the code urbantastebud to save $10 HERE. How much is it: $7 a meal. What’s inside the box: Every week, you’ll get deliciously healthy recipes as well as premeasured ingredients delivered straight to your door. Buy Now: Get $30 off HERE. What’s inside the box: Every month with JackedPack, you’ll get supplements designed for bodybuilders, weightlifters and fitness enthusiasts. Just tell JackedPack your fitness goals and every month you’ll get 5-10 product samples. Buy Now: Join today HERE. What’s inside the box: Every month with Yogi Surprise, you’ll receive 6-8 full sized yoga lifestyle items that are all vegetarian and non-GMO. Buy Now: Use the code YOGILOVE to get 15% off HERE. What’s inside the box: Freshly is an easy to way to meal prep for the week without having to cook. With Freshly, you’ll receive healthy and fresh (never frozen) chef prepared meals that are ready in under 3 minutes. Best of all, every meal is naturally peanut and gluten free! Buy Now: Get 30% off HERE. What’s inside the box: With prtnbox, you’ll get a package filled with carefully curated protein snacks from all over the world such as full sized protein bars, powders, jerky, nut bars, supplements, and drinks. How much is it: $12.95 – $39.95 a month. What’s inside the box: With a Low Kalz subscription, you’ll get healthy low calorie drinks and snacks delivered straight to your door each month. How much is it: $8.99 a serving. What’s inside the box: With Blue Apron, you’ll get high quality ingredients and recipes delivered straight to your door each month. Thanks for reading and hopefully you found the best weight loss subscription box possible! Whether if you’re looking for a great way to jump start your New Year’s resolution or if you just want to be able to make better, healthier choices, you can’t go wrong with either of these monthly weight loss boxes. 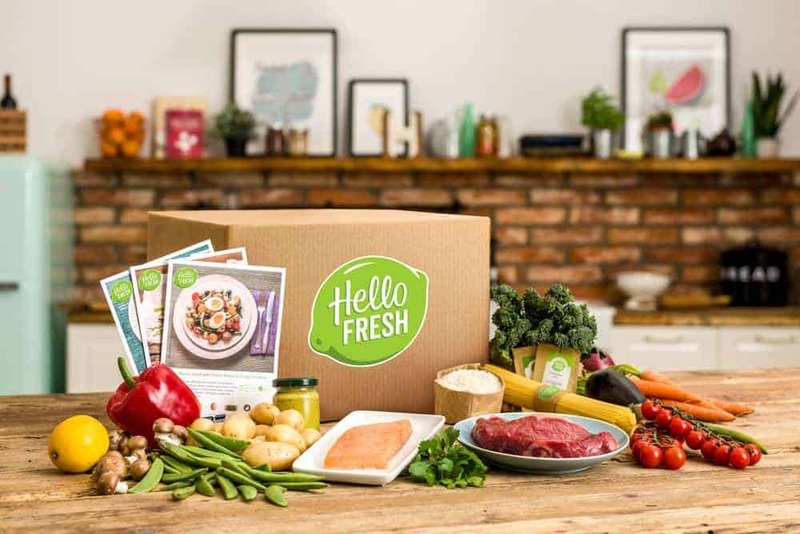 Have you seen hellohealthybox.com ??? Its a great new weight loss box that is designed as a diet kit for the workday. A weekly box contains 28 foods for $99. Eat 4 perfectly portioned low carb, protein rich foods per day – from breakfast through mid afternoon. Diet during the day then just add dinner.